All activities starting prior to Noon are Cancelled. Please visit http://recreation.uconn.edu for more information! For more information please visit http://recreation.uconn.edu! Construction is underway for the new three-story 191,000 square foot Student Recreation Center currently scheduled for completion in the summer of 2019. 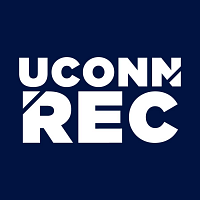 The new Student Recreation Center will cost approximately $75 million to construct ($100 M project cost) and will be located on Hillside Road across the street from the UConn Bookstore, on land previously occupied by the Connecticut Commons residence halls. The project conforms to Connecticut High Performance Building Code regulations and will be registered as a LEED GOLD project.